May 2, 2015 was when boxing died. That was the last of the mega fights that we’ll ever see in awhile. It pitted two of the greatest boxers of our era. 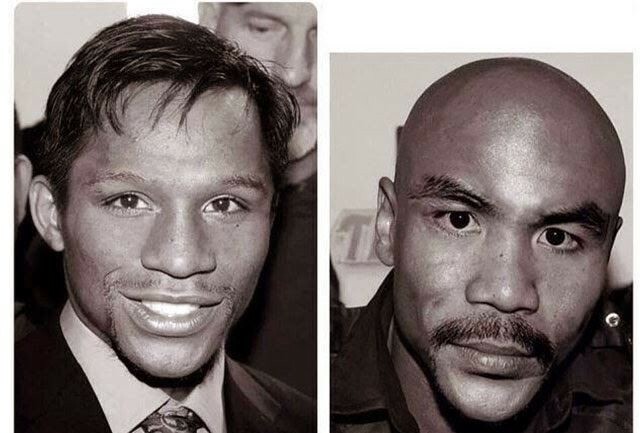 Floyd v Pacquiao. Money v Manny. There could not have been more polar opposites of one another. Floyd Mayweather was one of the sport’s greatest technical fighters and his rock solid defense gave him, at that time, a perfect 47–0 record, nearing Rocky Marciano long-standing undefeated (49–0) record. Manny Pacquiao was a showman armed with great footwork and relentless energy, giving fans their money’s worth and knocked everyone (38 KOs in 66 fights) out in the process. The MayPac bout, dubbed “Fight of the Century,” was a commercial success but the fight itself was a total dud, failing to live up to the billing of an Ali-Frazier type matchup between two superstars facing for the first time. Floyd achieved another victory but it wasn’t enough to silence his critics that have always questioned his place among the greatest of all-time. Manny failed to replicate a vintage performance which had people wondering if it’s time for him to hang up the gloves. It was clear that both fighters were far past their prime and everyone eventually moved on. The star power of both fighters was quickly fading and there was no one to root for or against anymore. Floyd would go on to tie Marciano’s record of 49–0 after defeating Andre Berto, who really was outmatched even before the fight started, but the pay-per-view numbers were Mayweather’s lowest in almost a decade. Manny would face Timothy Bradley to complete a trilogy bout that no one asked for and it also failed to generate enough interest from sports fans around the world. Both fighters bid their farewells and retired. And so did boxing. That is until Manny Pacquiao did a Michael Jordan circa 1995 comeback announcement and said to everyone, “I’M BACK!” (sources have said that millions and millions of crickets began to chirp in unison shortly after the announcement). It’s anyone’s guess why Pacquiao decided to cut his retirement short in June, two months after his supposedly last bout and came back to fight (I believe he needs the money). It’s not as if anyone’s calling him out or even worthy of a huge pay-per-view business. His longtime manager, Bob Arum, was reportedly eyeing Terence Crawford (Plan A), Danny Garcia (Plan B), and Adrien Broner (Plan C), all of which lacked any type of draw to generate anything. In the end, they settled for WBO Welterweight Champ Jessie Vargas, who was basically Plan Z in Arum’s book (and if you’re settling for a Plan Z opponent, then it really has to be about the money). Around the same time Pacquiao announced his intentions to return, rumors began to swirl that Floyd Mayweather was planning a comeback tour of his own that starts with UFC’s Conor McGregor. Always the businessman, Floyd knew that a Mayweather-McGregor fight would have been intriguing, to say the least. A victory would have also given him his 50th, breaking the tie from Marciano (his toughest critics will find it hard to take away his 50–0 record). Though the fight failed to materialize due to outside factors (split money, Dana White, etc), it was clear that Mayweather is also willing to return to the ring against the right opponent. Against Jessie Vargas, the 37-year old Pacquiao quickly showed he still has a lot left in his tank on his way to capturing the WBO Welterweight belt, all while Floyd Mayweather watching at ringside. If this was an audition from Pacquiao to seek a rematch with Mayweather, then I’m sure Floyd was taking notes. Floyd needs the 50th victory. And November 6, 2016 could be the date that resurrects the sport of boxing. It just needs two polar opposites to be on the same page once again. This entry was posted in Boxing and tagged Blog, Boxing, Manny Pacquiao, MayPac, Mayweather, Pacman, Pacquiao, Sports. Bookmark the permalink.